Finally Got Out For A Ride! Yesterday was warm and sunny and I actually managed to get the bike out for the first run this year. This is actually about two months later than we can "typically" get the bikes on the road around here in a normal year. But there has been nothing normal about the weather here this year, we still had snow in parts of the yard just last week. But it was certainly nice to get out on the bike once again! Every new riding season is exciting. Firing up the bike for the first time since putting it away sometime last November and hearing that rumble is amazing. It always seems to stir something deep inside of riders. It's part of the passion of riding I guess. And, as usual, the bike is running great. I did a little bit of work on it over the winter and everything seems to be working great. A little bit of TLC goes a long way to keeping these beasts running well for many a year! Anyway I hope that all of you have managed to get out riding by now. We can only hope that we get lots of warm and sunny days! Their motto of "True Service" is all that and then some. When I changed my snow tires off last week I discovered a nail in one of them that had been causing a slow leak. So I popped it in to our local Kal Tire shop and asked them to fix it up for me. When I went back to pick it up they had patched it and refilled it with nitrogen and when I asked how much I owed them they said "No Charge". Now is that True Service or what? Thanks Guys! I owe you one! Kevin Martin, a Canadian curling star whose career highlights include an Olympic gold metal and a world championship, will soon throw his last rock. The Edmonton, Alberta skip announced his retirement on Friday. 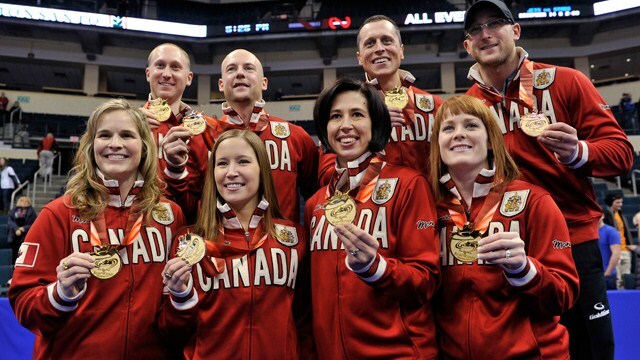 The decision to retire came after the Canadian Olympic curling trials back in December 2013 when Martin's team failed to book a ticket to the Sochi Games. The affable Martin, nicknamed "The Bear" has been a powerhouse in Canadian curling since making his junior debut in 1984. 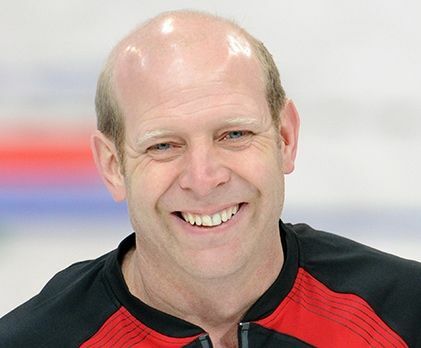 He won a Canadian junior curling championship with Alberta in 1985 and never looked back. We'll still be able to see Martin on the curling circuit, as he will be joining Sportsnet as a broadcast analyst next season. We'll miss seeing his infectious smile and remarkable abilities out on the ice. 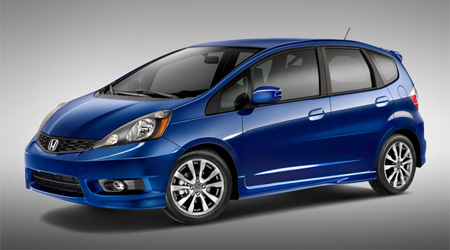 Well, Ellen and I are the proud new parents of a brand new Honda Fit. Our 14 year old Civic finally gave up the ghost last week so we needed something to fill the emptiness. The good folks down at Gore Motors got us back on the road without a problem, and this is a really nice car. It's shiny and new and Ellen's afraid to get it scratched, so if you see her out on the road give her LOTS of room. And of course I've now spent all of my Mad Motorcycle Money so it looks like I'll be riding my trusty old V-Star for a few more years. Hey, maybe I can run the mileage up on that thing to around 300,000 km.... That can be a goal to work towards! We'll see you on the road if the cold and snow ever move back to the Arctic. Well, we've pretty much made it through the winter - although you wouldn't know it from my back yard - and we're starting to see some bikes out on the road. Spring riding can present some interesting challenges out on our roads. Potholes, road cracks, frost heaves, sunken manhole covers, and soft shoulders can be a bikers nightmare. We often end up weaving back and forth across the road surface like drunken sailors just trying to avoid the worst of the damaged sections of our roads and highways. 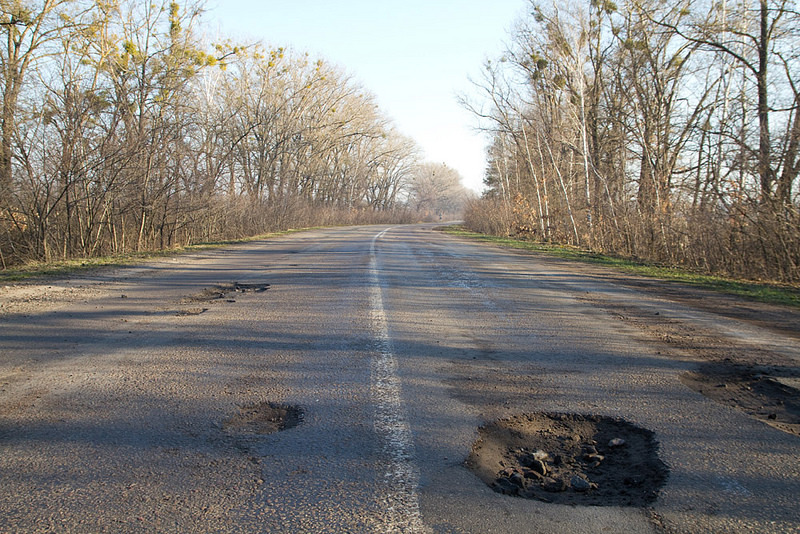 This past winter was one of the harshest, coldest and longest in recent years which takes its toll on our roads. Things to look out for, other than the ever-present potholes, are bicycles, our ever-growing deer population, icy patches on the roads in shadow areas, sand and gravel in the corners, soft gravel on shoulders and parking areas and of course the inevitable Road Construction. So if you're able to get out on the roads, take it easy, slow down and enjoy the warm weather! 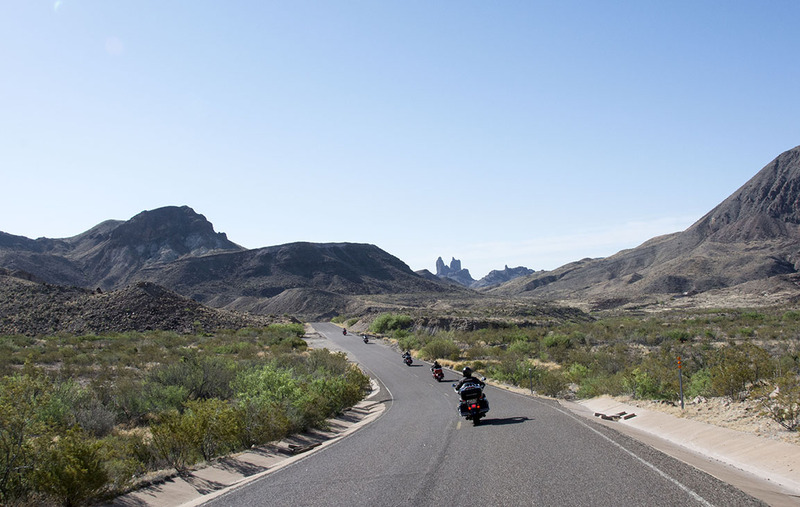 Yesterday, on April 1st, (while we were contending with freezing rain and a snow storm) as a cruel joke I think, my friend Mel From Austin sent me a bunch of pictures that he took this past weekend of him and his friends riding Big Bend National Park in west Texas. Environment Canada says that it's supposed to get up to Plus 1 today! I might be able to get out and wash the truck! Maybe take the parka off.... Maybe change to my summer long johns . . . . Maybe see the sun . . . ! Looking for a scooter to zip around the city on? 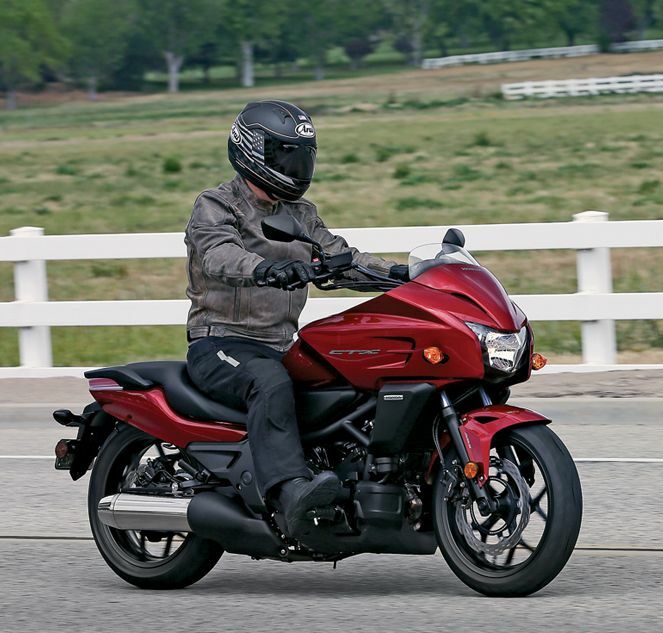 Check out the 2014 Sym Symba 100! This little beast is a 101cc semi-automatic bike that is the ultimate city bike. The engine is matched with a 4-speed semi-automatic transmission, meaning gear shifts are performed without a clutch but with a heal/toe shifter. Part of the attraction of this bike is most certainly the classic retro design which is spot on. 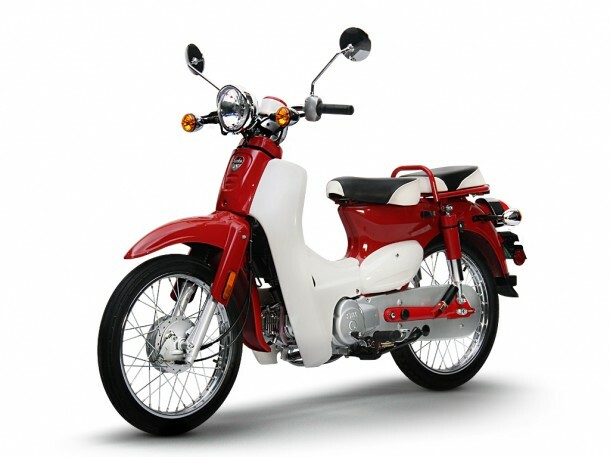 The SYM Symba 100 is a “Cub” style motorcycle built to be stylish, fuel efficient and appealing. Why the “Cub” design you ask, well, 65 million owners of the original Honda Cub couldn’t all be wrong. The style is timeless! As is the life of these machines, starting with a 24 month warranty. At $2995.00 CDN with both electric and kick start standard, delivering 100mpg and able to run 100kph, this scooter would be a hoot to tool around on! This has got to be one of the best looking motorcycles that any manufacturer has come out with in years!! We got to see (and sit on) this bike at the show and it is truly impressive. It is definitely in a class of its own. And, no, it is not a 2000cc, 900 pound, 130 horsepower behemoth, but the last time I checked the speed limit on most of our highways is 90 kilometers an hour, and this 700cc beauty is more than capable of comfortably doing that all day long! And I like a comfortable ride. 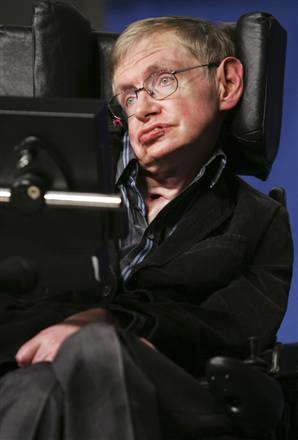 One of the greatest thinkers of our time, Stephen Hawking, has celebrated his 72nd birthday in January and still ponders the questions of the universe. "Where do we come from? How did the universe begin? Why is the universe the way it is? How will it end? "All my life, I have been fascinated by the big questions that face us, and have tried to find scientific answers to them. If, like me, you have looked at the stars, and tried to make sense of what you see, you too have started to wonder what makes the universe exist. The questions are clear, and deceptively simple. But the answers have always seemed well beyond our reach. Until now. "The ideas which had grown over two thousand years of observation have had to be radically revised. In less than a hundred years, we have found a new way to think of ourselves. From sitting at the center of the universe, we now find ourselves orbiting an average-sized sun, which is just one of millions of stars in our own Milky Way galaxy. And our galaxy itself is just one of billions of galaxies, in a universe that is infinite and expanding. But this is far from the end of a long history of inquiry. Huge questions remain to be answered, before we can hope to have a complete picture of the universe we live in." So, there you go. As we ponder how we ended up on this little blue rock spinning through space I'll be getting ready to head down to the International Motorcycle Show in Minneapolis in a couple of weeks. I hear that Triumph is supposed to be there this year and I really want to see their new line-up of bikes, and especially the new Thunderbird. Spring is on it's way so start planning for some rides! UPDATE: April 8, 2014 - I should let you know that Matt Marino, the creator and author of Motobasturds, severely injured himself last year and consequently his website has been offline for quite a while now. Lets hope that he gets well and is able to work on getting Big O and his pal Stonee through some more adventures. As I've always said, if you keep looking long enough you can find just about anything on the internet, but sometimes that can be good or bad. Fortunately here is another gem for you. I came across a biker cartoon a while back and thought I'd share it with you. 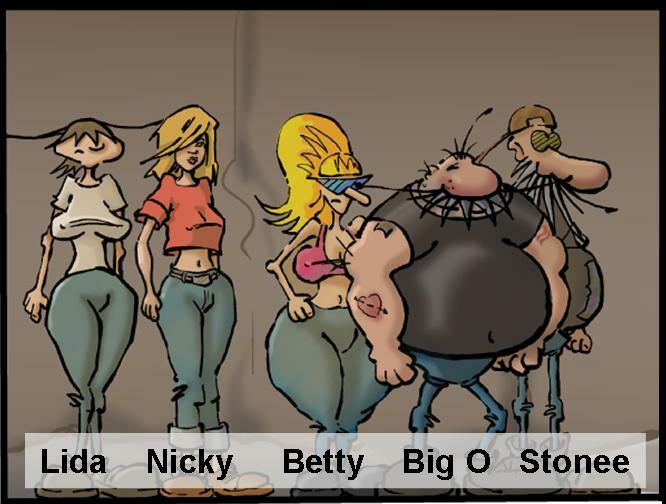 The cast of characters is led by an Old-School biker named Big O, and he knew that he had met that one special lady for him when he heard Betty say those four magic words "I own a bar". It's a pretty funny strip and you should check it out. It has evolved over the years and one of the latest things that Matt is working on is turning the strip into an animated series. I can't wait! After coming through the round robin with a 10 and 1 standing (losing their very first game to Switzerland), and winning the Page 1-2 playoff game against the Swiss team, Rachael Homan’s Team Canada fell to Switzerland in the Gold Metal game taking home the Silver Metals. 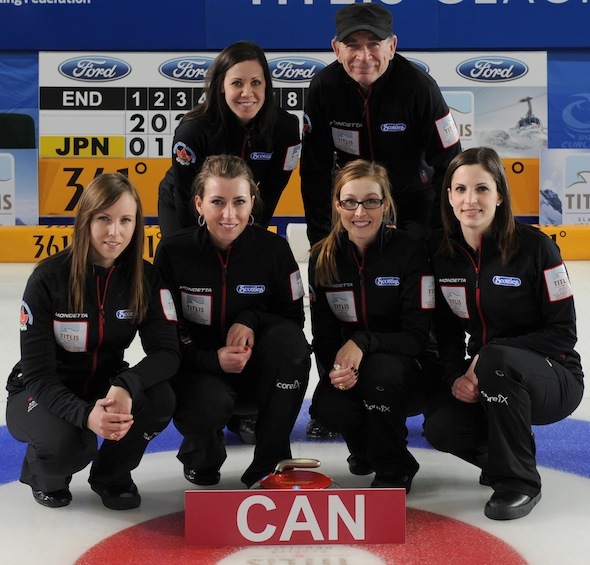 Next year’s World Women’s Curling Championship, presented by Ford of Canada, is scheduled for Sapporo, Japan. March 12, 2014 Here is an image for you. 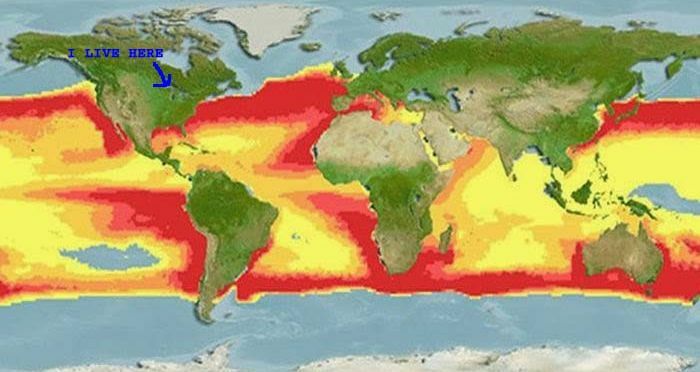 The picture here shows where, in all of the oceans surrounding the globe, you can get eaten by a Great White Shark. Now I didn't grow up and have never lived near an ocean, but I did see all of the Jaws movies and that's why I live far inland... Let's see those evil, slimy, toothy buggers get me here! Today is March the 8th and it's not quite springtime in my back yard yet. UPDATE: March 28th, 2014 - IT LOOKS JUST THE SAME!!! with four or five inches of fresh snow on top!!! Check this out - a company in Finland has come up with a variety of reflective spray paints that can not only be used on equipment, bicycles and clothing but on animals and pets as well. Anyone that is going to be out at night and is at risk of being hit by traffic should try some of this paint. 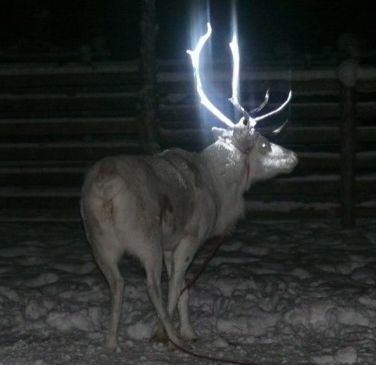 The spray paint is harmless to animals and is invisible in the daytime, but is light reflective at night. The polar vortex that has sent a blast of super cold arctic temperatures down into southern Canada and even the southern United States, creating a deep freeze across North America, continues its relentless assault. Meteorologists don’t expect the polar vortex to return to the arctic anytime soon. 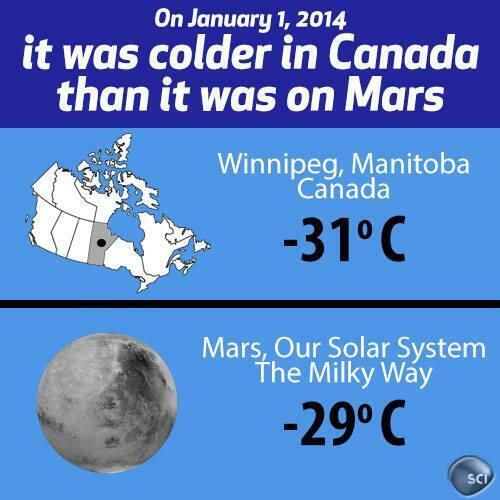 And if that isn’t bad enough, on New Years’ Day it was colder in Winnipeg, Manitoba than it was on the planet Mars. The temperature in Winnipeg reached -31C (or -24 Fahrenheit). It was ‘only’ -29C on Mars on the same day. Some parts of Manitoba, Ontario and Quebec have seen temperatures as cold as -50C, as the eastern Canadian provinces have had their coldest winter in 80 years. Rachel Homan won her second Canadian women’s curling championship on Sunday night, defeating Val Sweeting of Alberta 8-6 in the final of the 2014 Scotties Tournament of Hearts. Team Canada – made up of Rachel Homan, Emma Miskew, Alison Kreviazuk, Lisa Weagle, alternate Stephanie LeDrew and coach Earle Morris – took control right from the start, blanking the first end and drawing for three in the second when Sweeting’s take-out attempt just ticked a guard. 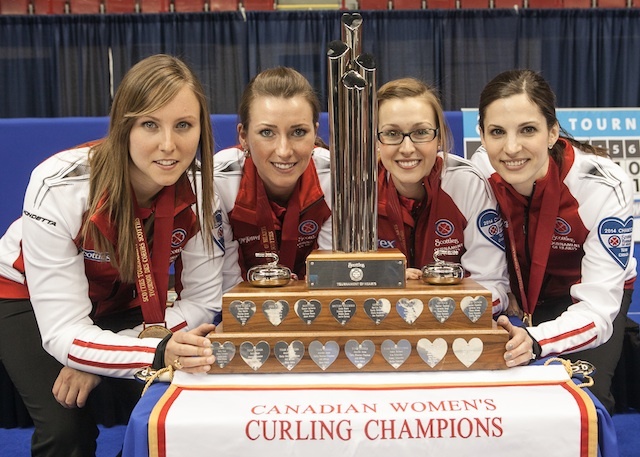 This was the second straight Scotties title for Homan and her team, who play out of the Ottawa Curling Club. Homan reached the final after going undefeated in the round robin. With this win, Homan and her team will move on to represent Canada at the 2014 Ford World Women’s Curling Championship March 15-23 in Saint John, N.B. Does it ever happen to you? You're at your computer, minding your own business, browsing through the World-Wide-Web, looking for cool stuff when - Bam! 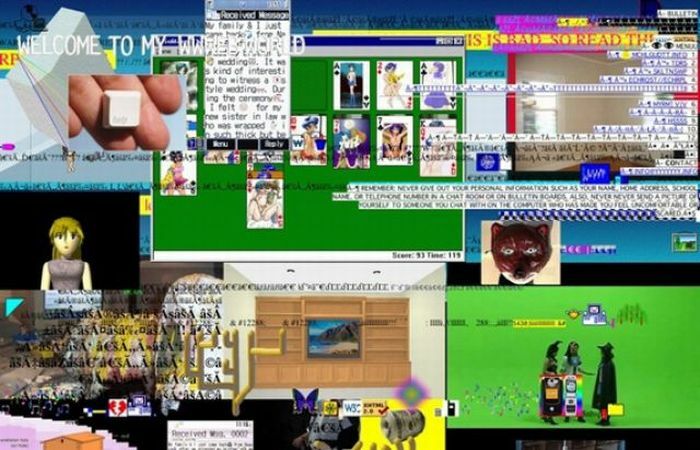 - you come across some piece of crap website that has so many active links on it that it locks up your computer just trying to open it. Ten minutes later half of it has opened and it still has your computer locked up. Now I'll admit that I don't have the most up-to-date computer in the world, and we're running on Thunder Bay's SUPPOSED high-speed system, but crappy websites are just crappy websites. Come on website designers, dump some of the advertising, some of the animation, the scrolling banners, the active slideshow, the fifty different active links, etc. 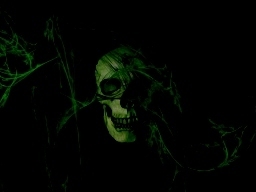 Trust me, if no one can open your home page they will quickly move on to friendlier sites - I do. I will also be the first to admit that I am not a website designer and that this website may not be the best one on the web, and you can send me ideas to improve it, but it works (most of the time) and is still happily advertisement free coming up on three years now. The Progressive International Motorcycle Show in Minneapolis is done for another year. It's back to the snow and cold again. 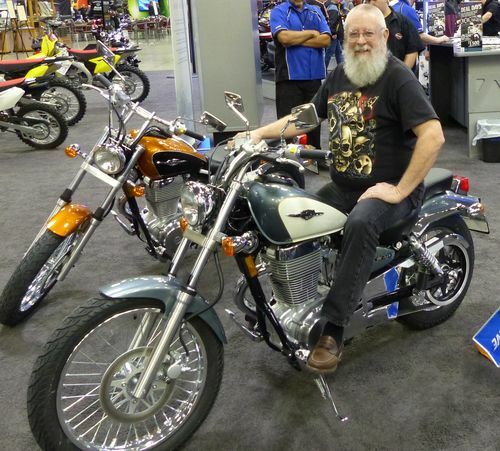 Our Polar Vortex has returned to Thunder Bay with a vengeance, however Ken and I had a great time down in Minneapolis wandering through the show checking out the bikes and vendors. We got to see and sit on tons of bikes, and there are some real beauties coming out this year. 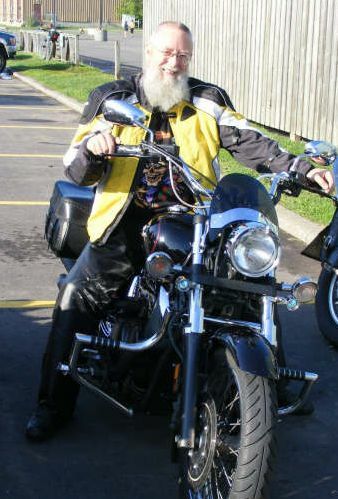 The bike pictured here is the 2014 Suzuki Boulevard S40, a 650cc beauty that comes in this white and silver paint job or in orange and black as per the bike beside me. This white and silver layout has a real nostalgic look to it. The number of vendors and the number of visitors to the show were both greatly reduced this year, consequently we didn't have to fight through huge crowds. Even my t-shirt guy wasn't there, I was a bit disappointed about that. Can you believe this - what is being called an "Arctic Polar Vortex" is hitting Canada and the United States hard this winter. Brutal, bone-chilling cold is gripping much of Canada and the U.S., and despite what some may say it would appear that global warming is playing a big role in the spread of this bitter cold. 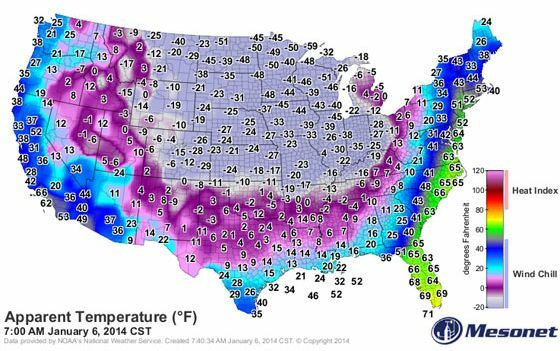 This may sound like something out of a disaster movie, or a made-up name, but the polar vortex is very real. In the northern hemisphere, the strong circulations of frigid air typically hang over the north pole, trapping most of the extreme cold over the Arctic. However this winter the jet stream has swung south through Canada and the U.S. pulling the frigid Arctic air mass with it. All we can do is wait for things to improve. Get the oil tank filled up and rent some movies - it looks like it is going to be a long, cold winter!